There is a segment of society that loves coupons. They will go to local store armed with a stack of coupons or only log onto their favorite web-based retail sites during sale times. The love of coupons isn’t restricted by economic factors either, Lady Gaga, Kourtney Kardashian and Carrie Underwood all admit to loving coupons, and Veronica Mars star Kristen Bell even admitted to stealing her neighbor’s Bed, Bath & Beyond fliers for the coupons. Coupons represent savings, but much more than that: they represent limited time opportunities and exclusive savings that the rest of the world might not know about. Until recently, a coupon was strictly a physical item—a small slip of paper that you handed to the cashier upon checkout. In today’s online world, the term must take on new meanings. Coupons can be anything from a printable gif file, to a special code the recipient has to enter, to a link with a unique query string at the end of it. In all cases, the idea is the same: The customer is receiving a discount in exchange for the desired marketing information. With PIZZA EXPRESS, the code is built into link. 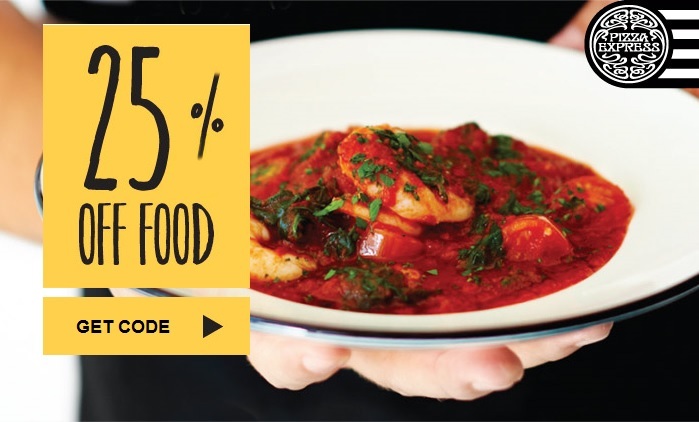 Clicking on “Get Code” takes you to the Pizza Express website, although the offer is the same if you visit the site on your own, so the opportunity is wasted. These techniques offer email marketers effective tools for improving open rates and engagements. 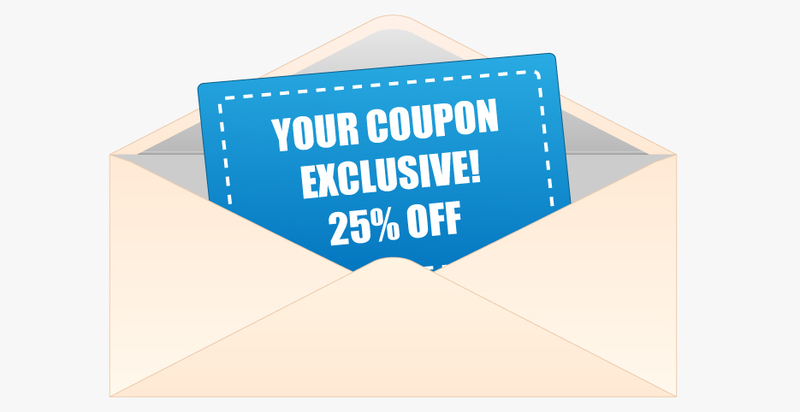 Various studies show that emails containing coupons have open rates anywhere from 14% to 34% higher, and revenues up to 48% higher. Of course, these numbers might be due, in part, to the fact, that coupons leave a marker. If a person shops in a store because of something he or she read in an email, we may have no way of knowing it, but if a coupon is used, now we have a direct link between the mailing and the purchase. Even more importantly, it is possible to make every coupon unique, which makes the data even more valuable and helps control the use of coupons that are intended for single use. Coupon techniques fall into one of three categories: Online only, in-store only, and “Buy Online, Pick Up in Store” (BOPIS). Each serves a specific purpose and its value is based on the type of business you have and the type of information you are trying to gather. A direct link of this type makes it easier for the recipient, but might also eliminate the perception that the recipient is getting something unique. In truth, a dynamically-constructed query string can make a link as unique as any coupon, but you should design the sale page so that the customer is aware of the exclusivity of the link. Access to an exclusive sale page should not be possible from the website—only from the links provided in the mailings. If an alphanumeric code is included in the email, then the recipient must enter this code just prior to purchase to receive the discount. In this case, it is a good idea to make this code selectable text rather than part of an image. This lets the recipient cut and paste the code rather than retype it and run the risk of errors, or the need to refer back to the original mailing during checkout. It is likely that a certain segment of the audience will overlook the possibility of copying the text, it is usually not a good idea to make these codes too complex, or, at least, provide some explanatory text in the email (e.g., “copy and paste this code for additional savings”). Shutterfly has no physical locations, so all offers are online only. The code here is rendered as text, which is a good thing since entering a code this complex accurately could be difficult. Nonetheless, for the less tech-savvy user, the fact that it is copyable might be overlooked. While, technically, no actual coupon is needed for online only purchases, a design that mimics the feel of a coupon can have a psychological edge. The use of dynamic content can also help personalize a mailing and increase the recipient’s feeling that the mailing is unique. For in-store purchases, a more traditional approach to coupons is used. In this case, features such as Goolara Symphonie’s dynamic barcode capability come in handy. The email contains a coupon that is scannable by the companies point-of-sale (POS) system. This can be presented at the cash register in the form of a paper print-out, or, more often nowadays, directly from the email on a smart phone. The most commonly used type of barcode in these instances is the Code 128. UPC-A codes may also be use if the data in the code is restricted to numeric values only and must be set to exactly 12 characters. Code 39 is another alternative, but is restricted to the 43 upper case letters, numerals and a few special characters. Code 128 allows for a more complete set of alphanumeric and special characters. Code 128 has no length restrictions, but if you’re not careful, you can end up with a barcode long enough to interfere with the appearance of your mailing. In these cases, the QR-Code has a distinct advantage, although not all POS systems can read QR-codes. If your system is capable of reading QR-codes, you’ll find that these are more suitable for scanning from phones than the other barcodes, which might appear too small on a phone’s screen to be easily scanned. In the airline industry, you’ll see the PDF417 code used sometimes, although these are giving way to QR-codes due to the latter’s ability to store more data in a smaller amount of space. The Gap is using a Code 128 for their store only email coupons. This one is a fairly simple code, that is shown in text below it (“5TOSAVE”). Since this code is compatible across the largest number of POS systems, it’s a safe choice, and the code text (shown below it) is short enough to keep the barcode from being too long, and ensuring that the cashier can enter it manually without much difficulty if necessary. A third approach, and one that appears to be the most popular, is to offer a “Buy Online, Pick Up in Store” option. This option is offered by nearly every retail business nowadays, from Apple to Nordstrom. Even stores, such as Kohl’s, that only a couple years ago had no such policy, now offer this service. With the BOPIS approach, a store can keep their in-store inventories reasonable, and still offer a complete selection of products. As with the online only approach, physical codes are not really necessary, but a company might want to use a barcode for verification purposes during the in-store pickup. 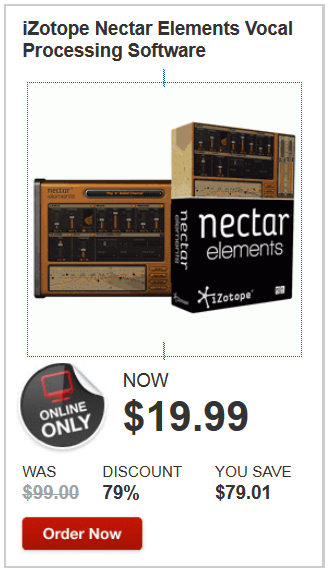 Guitar World has large stores in many urban locations, yet they often feature online only sales notices. This helps keep their customer base engaged with their email and allows them to make offers without worrying about a product’s availability at the local store. In most instances, GW offers their customers the option of picking up the purchased item at a local store. BISBO stands for “Buy in Store, Buy Online” and offers the whole enchilada. With BISBO offers, the coupon code again becomes useful. In this case, the store might place a scannable coupon in the email, that also contains an active link containing a unique query string, and a text promo code. This is a bit of overkill, but it is possible to set-up the link with its own query string, which will help you identify which recipients used the online services and which ones went to the store. Kohl’s is taking no chances and offering their coupons for use in-store or online, with a scannable barcode, a special PIN, and unique promo code. The only thing wrong here is that the promo code is rendered as an image, forcing the recipient to reenter the data. Of all of the techniques listed here, the most useful for stores with physical locations is the BISBO approach, because it is possible to set up each part the discount information to respond differently—query strings for online purchases and barcodes for in-store use. We are all tired of hearing “it depends” as the answer to concrete questions about email marketing techniques, but there is just no way around it sometimes. If your business is primarily a brick-and-mortar establishment, then redeemable coupons is probably the way to go—especially if you are using a POS system that can scan barcodes. For the online only store, the physical coupon is less necessary, but it does have the psychological advantage of looking like a coupon, which, as Lady Gaga, Kristen Bell, and Carrie Underwood can attest, still holds a powerful attraction. For more information on using dynamic content with query strings and barcodes, you can contact us at info@goolara.com, or call (888) 362-4575. This entry was posted in Design, Personalization, Trends and tagged barcode, BISBO, BOPIS, coupon, couponing, in-store, online, special offers on October 16, 2014 by Jim Morton.